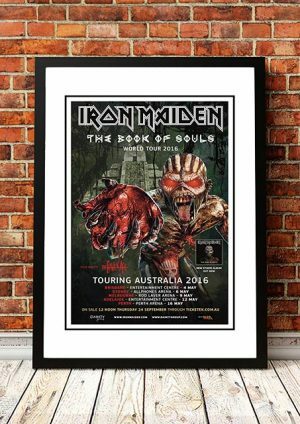 Classic Iron Maiden Band Concert Posters and Memorabilia! Buy Online Now! 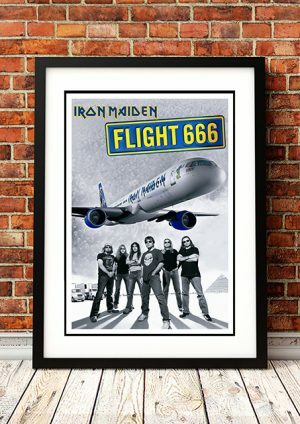 Known for such powerful hits as “Two Minutes to Midnight” and “The Trooper,” Iron Maiden are one of heavy metal’s most influential bands. 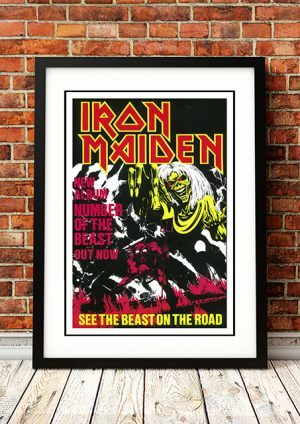 They’re also one of metal’s most enduring and distinctive acts, thanks to their melodic guitars, ambitious songwriting, powerhouse vocalist Bruce Dickinson, and iconic mascot Eddie. 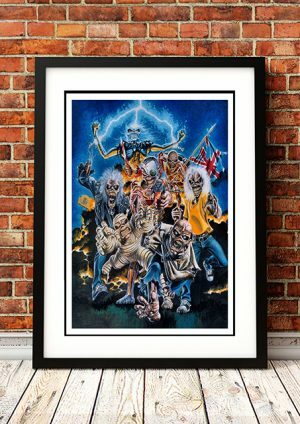 One of the first groups to be classified as “British metal,” Iron Maiden helped set the rock scene for the ’80s and inspired generations of subsequent bands, including Metallica, Dream Theater, Slipknot, In Flames, and Avenged Sevenfold. Despite a lack of radio airplay or mainstream media support, early allegations of Satanism, and a revolving lineup, they have remained consistently popular throughout their career. 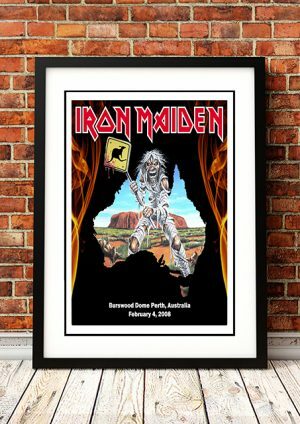 We stock some awesome Iron Maiden Band Concert Posters.